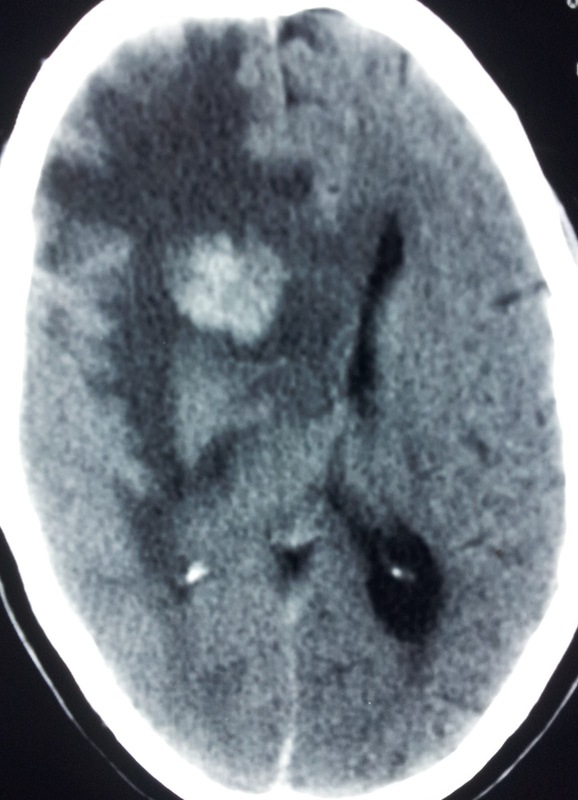 A 35 yo pt with a hyper dense uniform enhnacing right basal ganglionic lesion with marked perilesional odema. Mass effect. 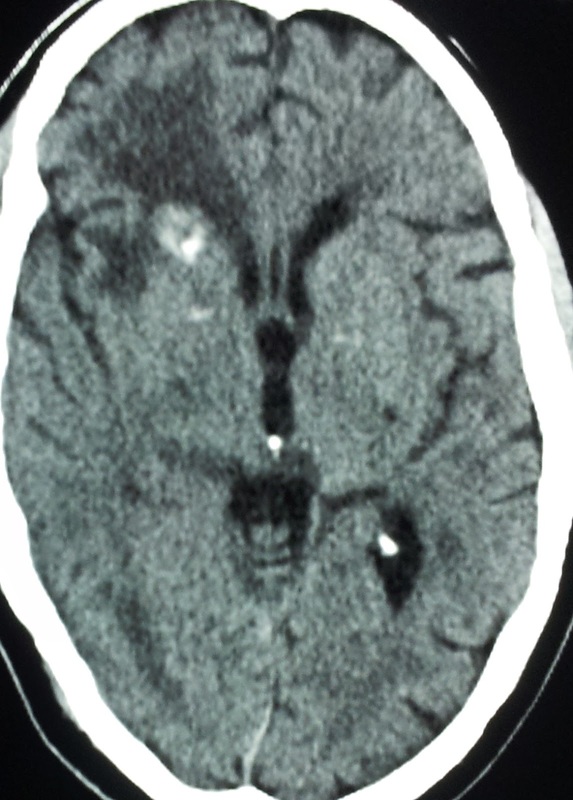 Possible DDs suggested were : Toxoplasmosis and Lymphoma. Pt was non reactive in TRIDOT test done for evaluation of immune status. Did not responded for initial course of antibiotics. The follow up CT study during the initial course of Radiotherapy show marked regression in size of lesion, perilesional odema and mass effect. The positive response is indicating that we are on the right tract and supporting the diagnosis of Lymphoma.